This fantastic Macon Lugny is vinified in stainless steel in order to extract the maximum floral and fruity aromas and freshness. 100% Chardonnay. Light, lively and charming, Macon Lugny can be distinguished by its white floral and apple aromas with a hint of lemon. Drink chilled and this Macon Lugny best goes well with a large range of foods including fried or grilled fish, sea food, goat cheese or poultry. 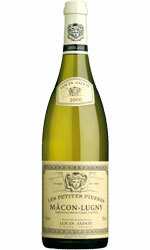 Overall, the white burgundy is an old gem that provides lasting flavours with a combination of exciting ingredients.